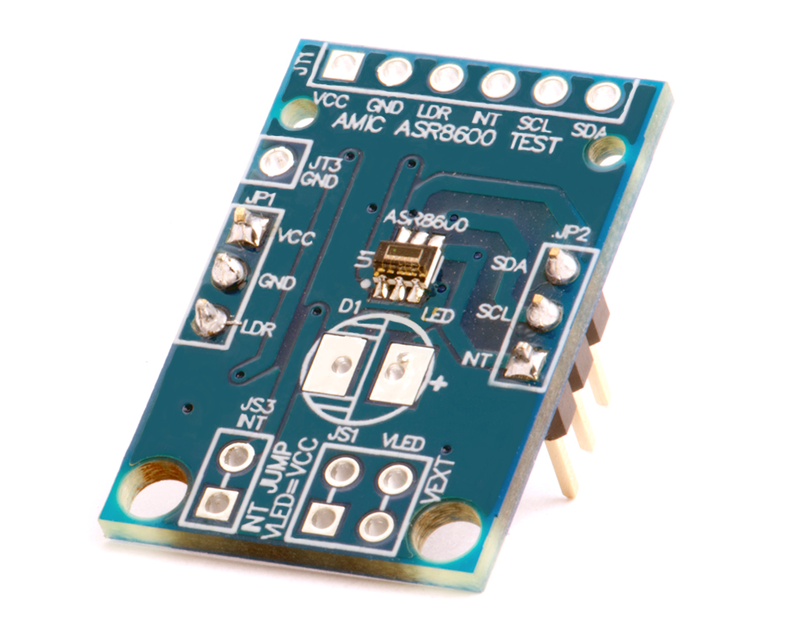 The ASR8800 is an integrated sensor of ambient light (ALS), Infrared light (IR), Solar_UV_Index (SUVI), and proximity sensing (PS) with an IR VCSEL LD (Laser Diode) embedded. It provides innovative algorithms which can be friendly in application. ASR8800 is a perfect solution for light and PS sensing. ASR8800 ALS/IR sensing offers ASC (Auto Scale Control) mode other than traditional manual mode. With ASC mode, ASR8800 can automatically adjust the sensing time and gain value to the best resolution according to various light intensity. User just simply needs to read the measured light data in accuracy without any other setting. The ASC output data is in dynamic range of 16 bits with 12 bits resolution. And under high intensity mode sensing (AI_H mode), the sensing intensity range can be up to 400K lux. The Solar_UV_Index is sensing by 8 bits output without any manual mode option. ASR8800 has an IR LD (Laser Diode) internally built in to do PS sensing and detects the presence of nearby object to avoid any physical contact. The driving current and pulse time of LD is widely optional according to the distance to be detected. To cancel the PS optical crosstalk from overlay reflection, ASR8800 offers a PS Offset cancellation function to easily cancel system internal reflection. After this cancellation, ASR8800 still keeps full dynamic range of PS output with 8 bits (256 steps) resolution, and user has no need to modify the PS threshold setting. ASR8800 also offers PS Auto Trim function if user requires a precise proximity distance to be detected in application. The PS Auto Trim function can automatically set optimized gain value in chip according to the distance between the preset object and chip, and the PS Trim value could be easily read out through user command, once the trim operation is done.